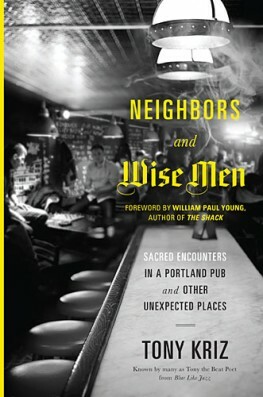 In chapter 20 of his book Neighbors and Wisemen, Tony Kriz talks about the virtues, and limitations, of the move toward local. A couple of months ago, Tony took my on a walk about his neighborhood as we were on the phone for our interview for the Hombrewed Podcast. “In addition to loving my individual neighbors, I also want to love my neighborhood as a place, the place where God has planted me. Every one of my neighbors is an expert in our shared locality. Each one lives, studies, watches, interprets, listens, and contributes to the DNA of our particular precious place in the world. If I am going to know how to love my place well, I need to harvest the intelligence of everyone: rich and poor, young and old, conservative and liberal, every culture and every background. They are the textbooks and we are the activists. The move toward local is important. In an era of trucked in vegetables and national franchises, global economies and multi-national corporations, it is important to think about this stuff in ways that show integrity and conviction. In many ways the conversation about local reminds me of the concern regarding Second Naïveté ( you can read a quick summary of Paul Ricoeur’s idea here). Second Naiveté (SN) is way to read the bible or engage religion that is not like first naiveté in a surface reading or literal approach. SN has also gone past the desert of disbelief (simple deconstruction) to a place of informed engagement. Take the story of Jonah. There is a 1st way we are taught to read it children’s church and there is a desert of disbelief where we come to say “it is impossible that story is real” – not just the 3 days in the belly of a big fish but the repenting cows of chapter 8 – and more toward a Second Naïveté. This is where we read the story with fresh eyes again and allow it to have it’s intended effect on us. We don’t get caught up in the physics of the story or the literalness of the history but we hear the word of the Lord for us in the story. Since I have the local conversation as well as the Second Naïveté one frequently – I have noticed a similarity is the arguments or resistance against both. Let’s take the move toward local. While both are valid points, they are not engaging the issue. Those are valuable conversations but they are not the same as addressing the larger systemic issues that the local conversation is attempting to examine. Where does the produce come from? How far is it trucked in and what it the fuel cost for the ingredients? What percentage of the profits stay in the community? How much flexibility is there to respond to local challenges and needs? Where are the decisions made? In just these 6 questions, both shopping at Walmart and eating at Applebee’s fail to meet the local expectations – even if you happen to go to church with the person who checks you out or serves your table respectively. We are part of a system, a larger chain of supply, that local it attempting to address. We do ourselves and our community a disservice when resort to easy dismissals and prefer to stick with our first naiveté. There is a great need to pass through an intelligent examination and arrive at a second place of informed engagement. The christian has no excuse to hide behind elementary dismissal. The christian message is one of incarnation and local engagement. The word became flesh and moved into a neighborhood. Jesus didn’t speak every language. He spoke his local languages. Jesus didn’t live everywhere. He ministered in a 20 mile radius. Jesus didn’t address every issue. He changed the world by addressing his local concerns and touching the people he crossed paths with in a day. The christian message is first and foremost a local and contextual one. We are called to love our neighbors – by name – and our neighborhoods as well.